If anyone ever needs a definition of what constitutes a niche market book, point them to Wayne Kinsey's and Gordon Thomson's new publication about the Hammer Locations. This is definitely not anything for the casual Hammer or Horror Fan but for the die-hard fanatics who live and breathe Hammer and need to know every last detail about the productions. And then go to visit their locations. 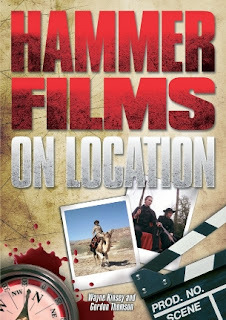 For anyone within that target niche Hammer Locations is an excellent, richly illustrated travel guide with in-depth descriptions of the areas the Hammer Horrors were filmed in and detailled maps and instructions on how to get there. 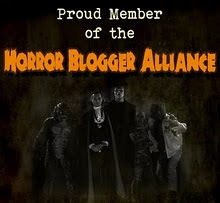 Being one of a small number of Hammer-focused authors, Wayne Kinsey hardly needs an introduction to readers of this blog. His partner-in-crime for this tome is Gordon Thomson, a runner, assistant editor and sound recordist for a wide of range of shows with vast contacts in the industry to help him identify even some of the more obscure locations. 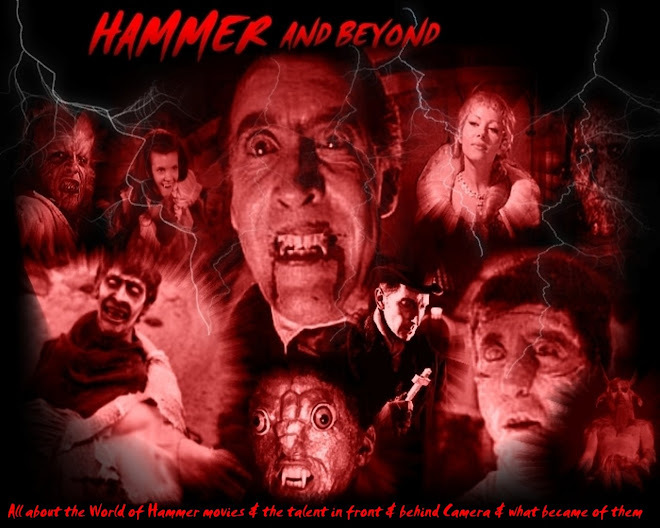 Initially the book was meant to be just one chapter in Kinsey's previous book about Hammer Films – The Unsung Heroes but when that chapter started growing within an already massive manuscript, the publisher Tomahawk Press opted for a separate volume. Alas, the recession and declining specialised book sales ultimately prevented Tomahawk from adding it to their own portfolio, leaving Wayne no choice but to set up his own publishing house, Peveril Publishing, where this book is now exclusively available from. So don't even bother checking the likes of Amazon & Co. It is clearly a sign of the progress made in the self publishing industry that an individual can now produce a volume that at no point ever indicates that it doesn't have the weight of a professional publisher behind it. This book is meticulously researched, fantastically bound and printed and sumptiously illustrated in both colour and black & white. This is clearly NOT a “vanity publication” but a thoroughly professional one that just happens to be produced privately as its topic is otherwise too obscure for any of the regular players in the field. The initial chapters introduce us to the most commonly associated Hammer locations, Black Park and Bray. We get a general overview over those including a suggested walkthrough for anyone visiting those for the first time and with limited time on their hands. Following that we are treated to in-depth discussions of all the locations for the main UK based Hammer Horror, Fantasy and Sci Fi films. Contemporary photos and screen grabs of the movies are compared side-by-side with current pictures of the locations as they look now. Some of the places have barely changed at all, others have irrevocably been altered. The amount of information available on those locations is simply staggering. I think that it is safe to say that if the authors haven't managed to identify a place, hardly anyone after them ever will. As thorough as the text is, space-wise it is far outweighed by the photographic material on hand which is actually a good thing if like me you aren't living anywhere near those places. Even couch travellers will be able to get great enjoyment out of comparing the sites then and now. Though Hammer Locations primarily focuses on the UK shooting sites for the company's genre movies, we also get shorter entries about their comedies and foreign locations with a separate chapter for Irish-based Ardmore Studios and Powerscourt which I would have loved to have had along with me when I visited the area a decade or so ago. So what is stopping you from purchasing this? Ah yes, one thing that may bring your planned purchase to a screeching halt is the price. The base cover price is £25 (£5 more if you purchase an additional 2 DVDs with the photos taken for the book) but depending on where in the world you live up to £22.25 needs to be added for postage and packaging which means that either way you look at it this book won't come cheap. The p&p, however, is what it is and anyone who has ever looked into the printing costs for such a beautiful volume will know that this doesn't come cheap. Hammer Locations regardless of its total price tag is not going to be a major money maker and Wayne will count himself lucky if he ends up breaking even. So foresake a night on the town, save a £1 a day, drop hints with your loved ones about future birthday or Christmas gifts but treat yourself to something special if that book sounds like it may appeal to you. 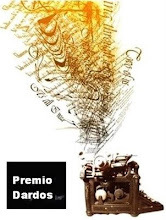 And then start saving early for the next books that Peveril Publishing is aiming to release over the next year or two.